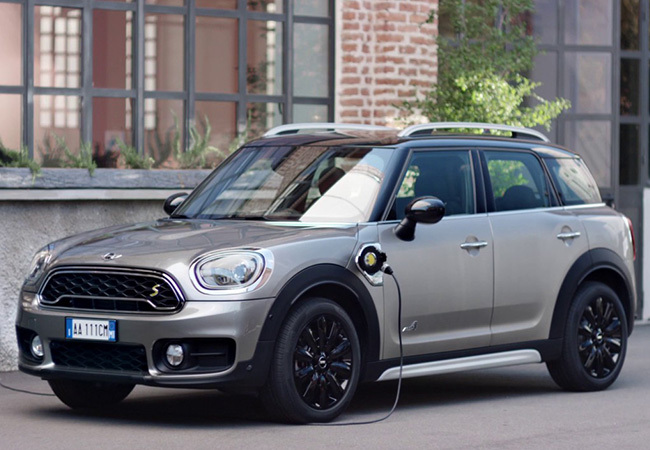 MINI Cooper’s very first plug-in electric hybrid model has arrived. MINI has been known for getting great fuel economy without compromising on performance. Normally, fuel economy and fun have an inverse relationship with one another. But we’ve proved that it doesn’t have to be (over and over again). So, here we are presenting you our electric MINI Cooper S E Countryman ALL4. The all-new MINI Cooper S E Countryman ALL4 has the sleek interior and bold customizable exterior like the roster of MINI’s you know and love. The noticeable difference is that the MINI Cooper S E Countryman ALL4 hybrid system is made up of a 3-cylinder petrol engine with MINI TwinPower Turbo Technology and a synchronous electric motor. Together they generate a system output of 165 kW/224 hp enabling the car to sprint from standing to 100km/hr in 6.8 seconds. In everyday traffic the intelligent drive control of the MINI Cooper S E Countryman ALL4 makes for an intense hybrid driving experience. When setting off, only the electric motor is initially active meaning a virtually noiseless start. The battery is housed underneath the rear seat and flat load boot floor, minimizing drawbacks to boot space and legroom. Not only does the first plug-in MINI hybrid offers sporty agility on the road as well as competency beyond the asphalt thanks to its intelligent all-wheel drive system, but will be the most smooth and quiet ride you have yet been in. Not to mention, it comes equipped with the highest level of standard equipment of any MINI to date. Experience it for yourself and book your test drive at MINI Richmond today or call 604.233.0700!